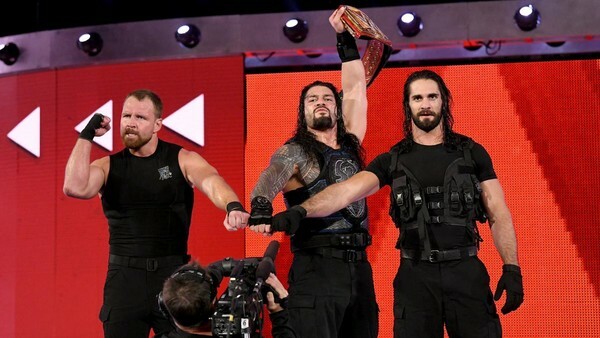 Reigns puts title up for grabs, suddenly needs backup. Well that was certainly interesting. Twenty-four hours removed from Roman Reigns finally winning the Universal Championship, the Big Dog wasted no time in making headlines – in more ways than one. But he wasn’t the only champ who made an impact on Raw Monday night. New Raw Women’s Champion Ronda Rousey rekindled a rivalry with the one person who could seriously stop her right now: Raw commissioner Stephane McMahon. Rousey refused to bow down to Steph or play along with her antics, and that didn’t bode well with one of the two alpha females. Reigns didn’t waste any time in reminding everyone that the Universal Championship was back on Raw and could be defended, picking Finn Balor to challenge him for the title. And of course, there was a monster looming over their heads. But there was another surprise just floating beneath the surface. Raw also featured some questionable booking decisions, including not having anything really set up for a few superstars coming out of SummerSlam. Overall, it wasn’t a bad show at all, but there definitely were some storylines that needed desperate help.